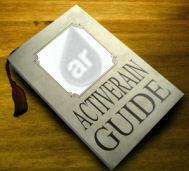 The Official ActiveRain Guide: Gmail ~ I Bet You Didn't Know It Does This! Kristal, I am famous (gosh I really hope not) for forgetting to attach the attachment- lets just say I've done it more than once! LOL The unsend feature would be great. I have yet to sign up, but I'm sold! My geeky son-in-law has been touting the advantages of Gmail for awhile now, between the two of you I'll have to start paying attention! Kristal, in everyone one of your posts on the features of gmail I learn something new! this is one of the many reasons I subscribe to your blog here. Now I can get some extra zzzz's or or play in the studio given the extra time I can save with the canned response feature. Thank you! I wonder how the unsend works. There would have to be a delay right? Hi Kristal - Looks like Google Labs is cooking up some great new features. Thanks Kristal. This is great information. And, it will get me out of the office sooner. Krystal, thanks for the heads up & info..i use gmail for alot of things & love that unsend...believe it works as long as the other party doesn't open the mail. Kristal, thanks for the Gmail Lab information...didn't know about this and will be checking it out. KK - thanks for the great tips. I recall Unsend from Lotus Notes years ago but had forgotten, and didn't know Gmail had that option. GREAT to now, now that my gmailing is becoming my email of choice. Thanks Kristal for sharing this information. I can't wait to use them. I have yet to investigate all the amazing features of gmail. Thanks for the info. Great informative post, and thanks for the rest of your gmail series, we are just getting our feet wet with it, and by now are starting the see that there are some real good uses for it. Our CRM sync's with it and this offer a great way to keep most of our stuff in tune regardless where we are. Ah Brad, thank you! Glad to see your face in the neighborhood! Kristal, this series on Gmail has really opened my eyes on using gmail. Post © 2019 Kristal Kraft, Selling Metro Denver Real Estate - 303-589-2022 (The Berkshire Group Realtors). Design © 2019 ActiveRain, Inc. All rights reserved, Inc.